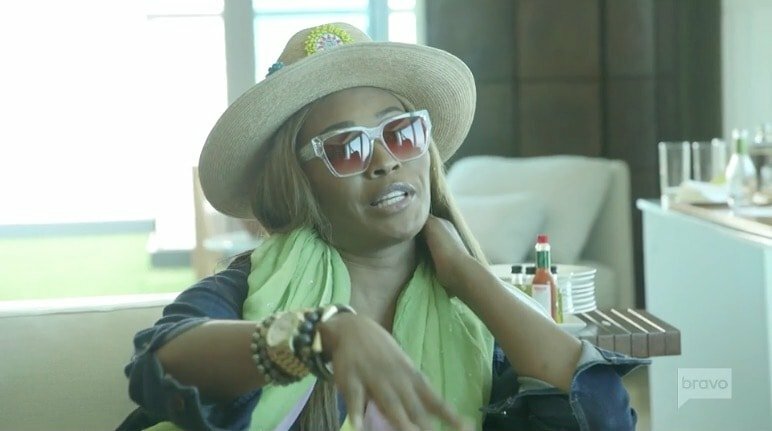 Cynthia discussed the RHOA Season 11 premiere in a Bravo blog post. She explained why Mike is such a good fit for her. It seems like things progressed really quickly for them. This is a stark contrast to her “relationship” with Will Jones. They were “together,” but “not together” all last season. It was so vague and confusing. Conversely, Cynthia seems to be all in with Mike. Cynthia shared, “Mike and I were dating other people when we first met through my friend, Steve Harvey.” Casual name drop there. She shared, “After about four months of dating each other, we decided to date exclusively. Once Mike and I were only focused on each other, things started to move a lot faster. We literally went from chilling to #CHill!” The new hashtag of the season, everyone! She concluded, “We talk every day, and of course, some days are better than others. She is very strong but still needs support. I am here for them both.” As are the viewers. Everyone loves Gregg. He is one of the few universally loved people in the franchise and he has lots of support, even from people he has never met. TELL US- DO YOU THINK CYNTHIA BAILEY AND MIKE HILL ARE A GOOD MATCH? WILL THEIR RELATIONSHIP LAST?